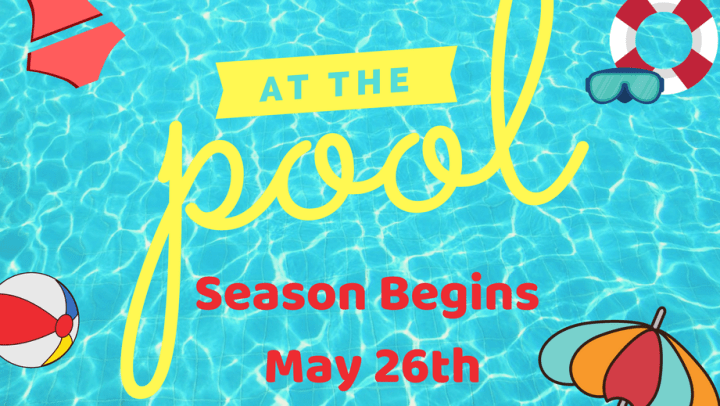 The pool will be open weekends only beginning 5/26 from 12pm - 8pm. Beginning 6/16 the pool will be open 7 days a week from 12pm - 8pm. Stop in the office to pick up your pool pass beginning on May 19.